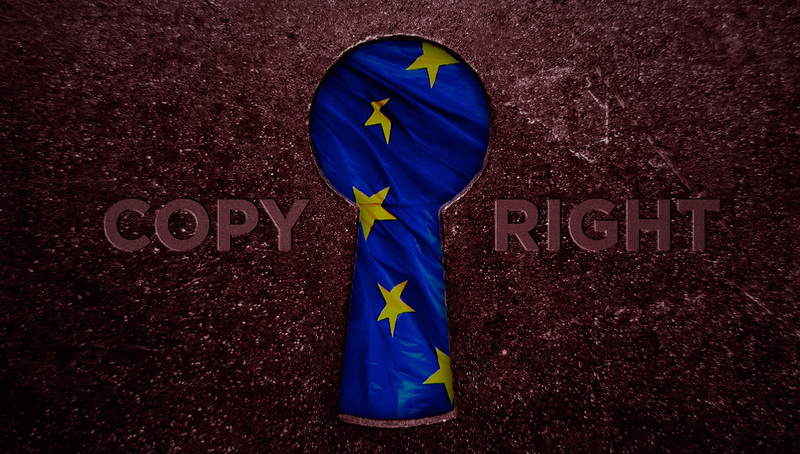 The second-to-last round of trilogue negotiations to hammer out the final wording of the EU Copyright Directive takes place tonight. On the agenda again: The controversial Article 13, which would make online platforms liable for copyright infringements by their users and force them to install upload filters. Here are the updated 4-column documents: Articles, Recitals. But the big news came this weekend: Ahead of the negotiations, a letter to MEPs from big film industry associations and sports leagues is raising eyebrows. Their message: They believe both the Parliament’s and the Council’s versions of Article 13 would end up benefiting the big online platforms – and they’d rather prefer to be left out of this mess altogether. They urge that their sectors be explicitly removed from Article 13’s scope, except in the highly unlikely case that both institutions drop all their work and return to the original Commission proposal from 2016. In doing so, they are disavowing those in the media industry who ahead of the September vote in the European Parliament swayed MEP’s opinions by loudly claiming to be speaking for “European creators” when they asserted that the law, including Parliament’s version, was necessary to “save culture”. The lawmakers cheerleading Article 13 are left scratching their heads: Why do those we believed we were benefiting now want nothing to do with it? This is where we’ve arrived at after two years of debates and negotiations: Voters hate Article 13 – the petition against it is rapidly closing in on a record 4 million signatures. Young creators feel their livelihoods threatened – check out, for example, this informative rap by one of Germany’s most popular YouTubers. Internet platforms warn it will wreck the net. And now even some of the explicitly intended beneficiaries are renouncing it. Independent academics and experts, of course, have been telling anyone who would listen about the problems with it for years. It can no longer reasonably be denied: Article 13 was misguided from the start. Rather than solving a specific, well-identified problem with a well-assessed solution, lawmakers attempted to use copyright law to rebalance power between several big industries, with no regard for the collateral damage they were causing. Instead of resolving these concerns and converging on a reasonable middle ground, the negotiations have just muddied the waters further. If the problem we want to solve is that YouTube pays too little to the music industry, let’s make platforms on which a lot of music copyright infringement happens take out collective licenses, while at the same time legalising modern remix and fan culture. That can be done without the erroneous notion that upload filters solve more problems than they create and without burdening small startups and platforms which don’t even have a problem with copyright infringement in the first place. But if we can’t even agree that that’s what we’re tying to achieve here – that leaves only one way forward: Let’s drop Article 13 altogether and send the directive back to the drawing board. Thank you so much for the message, Julia! Your solutions are excellent and I’m glad you can give us outside the EU a proper update. What do you think will happen moving forward? When do you think we will get a proper announcement? Thanks for the article, helped me a lot to understand more about this issue. Recently moved to EU and just wanted to get informed about this law. I am genuinely scared for the future of the internet. A lot of content online has helped me to vent out my frustrations and calm me down when I’ve been in depressive moods. Now all of that is going to be taken away from me and I just feel like crying. As a student, I fear that I won’t be able to complete my research, as a friend I’m scared I won’t be able to share my interests and as a family member I fear I will have my right to contact them stripped away. Not all my family speak English but some can type English. Why punish the consumers when the producers should get with the times. The music industry tried to stop the mp3 player, they just want you to keep buying their stuff again and again. Well, when I buy a cd I’m not buying the plastic honey. This is a disgusting vile hateful bill, and if it succeeds it’s going to damage so much. Any compliance that the people who support this will get is too good for them. I am genuinely appalled by the narrow-minded thinking of those supporting and making this bill worse all in the name of power and greed. I hope this comes to bite you in the backside… In fact, I know it will. People are going to lose money, their jobs, contacts and their freedoms just because a few companies are upset they can’t charge you again and again and again. Get with the times or just shut up.